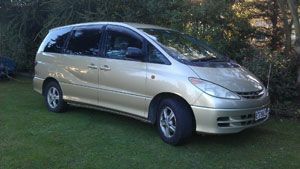 Airport Rentals Christchurch have modern people movers and mini-buses / minivans for hire at very competitive rates. All our minibuses have towbars and we also have luggage trailers for hire. 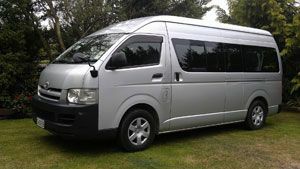 Our Christchurch mini bus rental depot is just a short distance from Christchurch Airport and we offer transfers to / from the airport or from your city accommodation. Our 7 & 8 seat people movers are perfect for transporting a larger family or group of friends around New Zealand in comfort. With space for up to 8 adults these people movers (MPVs) are easy to drive and park, making them an ideal choice for your NZ driving holiday, road trips and weekends away. Hire a 7 or 8 seat people mover for your group vacation instead of taking several cars or maybe for two couples who want extra room. Also excellent for your skiing holiday. These vehicles are either 2.4 litre or 3.0 litre petrol in automatic with air conditioning, electric windows and luggage space for 3 suitcases and 4 small bags. If 5 or less people are using the vehicle, the rear seat can be folded up and moved forward for additional luggage space. If your party is greater than 5 and you need more luggage space, we recommend hiring a shuttle trailer for an additional $15.00 per day. Our 10/11 seat minibuses are perfect for sports teams, school, club or corporate groups. Ideal for a golfing holiday with a shuttle trailer to carry the luggage and golf clubs and these minibuses are also ideal for your skiing holiday. The 10/11 seat mini-vans are 2.4 litre petrol in manual with power steering and can carry 4 medium size suitcases and 8 soft bags that can be stored under the seats without the need for a trailer. Additional extras include CD player and Auxiliary Ports and some also have a USB Port. Our 12 seat minbuses are perfect for larger groups with extra luggage and can take up to 6 large and 6 small suitcases in the rear of the van. These vehicles are 2.7 litre petrol in automatic with air conditioning, power steering and CD player for comfort and easy driving. 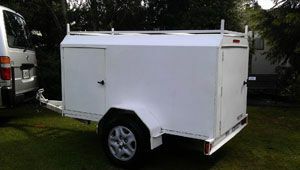 For excess luggage and sports equipment tow a shuttle trailer behind one of our people movers or minibuses for an additional $15.00 per day or hire one without our vehicle for $20.00 per day. 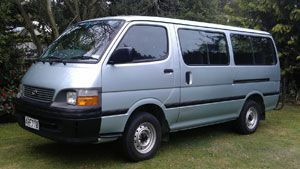 Contact Us Now for a competitive quote for your Christchurch people mover rental or mini bus hire. © 2019 Airport Rentals Ltd.